After flamingos, palm trees and pineapples, coral seems to be having its moment in the sun as the tropical trend of the day. 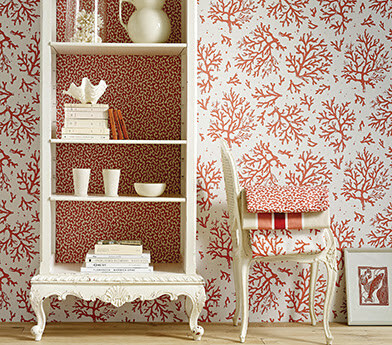 I'm not sure how this trend started - I do know I've seen this Tibi coral printed dress and the wallpaper shown above - Coralie from Osborne & Little - being pinned all over the place. With the dress priced at £373 and the paper at £49 a roll from Wallpaper Direct, I decided to look for some more purse friendly alternatives. 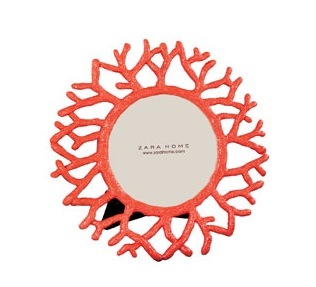 Zara Home seems to be the natural high street destination for coral lovers. They've got coral-themed EVERYTHING: from very pretty towels to slightly bonkers salad servers. I love this simple picture frame. It's perfect for displaying your holiday snaps and only £15.99. 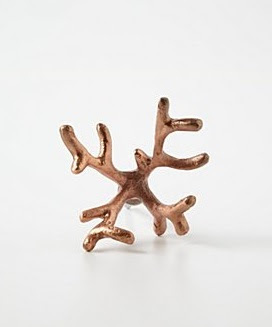 Anthropologie has also been looking to the great deep for inspiration. Let's pass over their £118 shower curtain, as only a crazy person would pay that much for a shower curtain, no matter how much they liked coral. 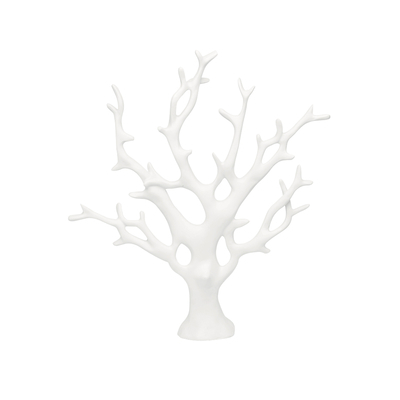 This coral-shaped door knob is a slightly more sensible option. At £8 each, you could use them to jazz up a bathroom cabinet or a chest of drawers. If you are on a mission to prettify, Dwell's coral jewellery holder will display all your trinkets in style, though it looks quite good as an unadorned ornament too. It's currently reduced to £20. For some genuine coral-based art, this Blue Sea Coral print, available through Bouf, is gorgeous. 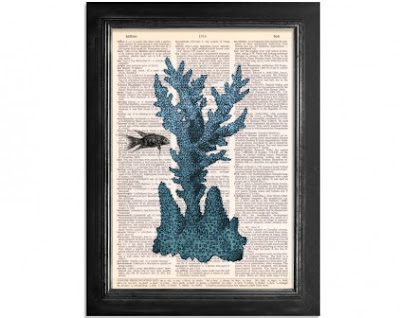 It's printed onto a page from a not-fit-for-it's-original-purpose-but-still-quite-loveable vintage dictionary page, giving the design something of an authoritative air. It's quite a bargain too priced at only £9. The intricacies of coral have inspired this metal sculptural bowl taken from the Rocha.John Rocha collection at Debenhams. 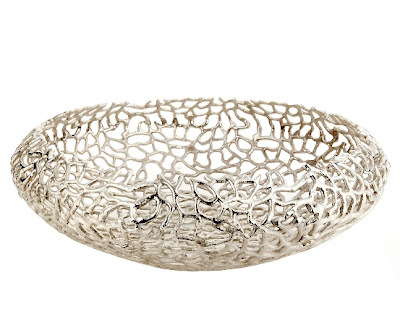 It's also on sale at the moment and can be yours for £36.80. It's gorgeous isn't it? I'd love to put this in my Bloomsbury Townhouse (Lottery win permitting).